I joined Multiples in 2016, and lead the firm's transactions in the technology and logistics sectors. I also spearhead the digital transformation initiative at the firm. 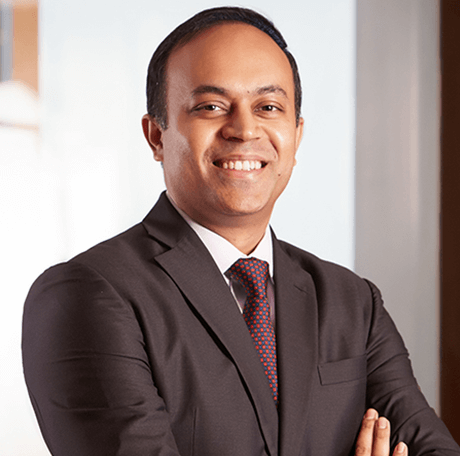 Before Multiples, I spent a significant part of my private equity career on investments in the software and internet sectors, both at Permira Advisers in London and Warburg Pincus in Mumbai. I was also part of the Temasek Holdings team that set up its Indian private equity operations. I am passionate about investing in companies that leverage technology to disrupt traditional business models. I particularly enjoy working with entrepreneurs and management teams, and getting into the nitty-gritty, to help build enduring businesses. I believe Multiples’ ability to partner with entrepreneurs across stages of a company’s development is a key differentiation, particularly in the dynamic technology space. When I am not working, I love spending time with my son, and playing squash & volleyball.